St. John’s, NL, June 8th, 2018 – Young people interested in starting a business this summer have a place to turn for help. Youth Ventures Newfoundland and Labrador, a program which helps students aged 12-29 start their own businesses, is up and running for its 26th season. “Youth Ventures empowers young people to turn their hobbies, interests and passions into money making profitable ventures,” said Ashley Pomeroy, Provincial Coordinator, Youth Ventures. “The program is available to students from May to September, with coordinators in 25 locations across the province. In addition to our community-based sites, we’re thrilled this year to also partner with the Association for New Canadians to support immigrant youth and Choices for Youth to support at-risk youth. To kickoff the season, Youth Ventures participants from a variety of industries showcased their products and services at Common Ground Coworking today. Island Cosmetics, a Newfoundland and Labrador themed vegan cosmetics manufacturer; The Convenience Crew, a lawn care and garbage removal company; and Tolt Sticks, a handcrafted walking stick company made from Newfoundland hardwood, were some of the participating businesses. On hand to help celebrate these young business owners’ achievements are representatives of Youth Ventures partners: Nick Whalen, Member of Parliament for Avalon, representing the Government of Canada; Bernard Davis, Parliamentary Secretary to the Minister of Service NL representing the Government of Newfoundland and Labrador; and Roseanne Leonard, Managing Director of the Newfoundland and Labrador Association of Community Business Development Corporation (CBDCs). The Atlantic Canada Opportunities Agency (ACOA) invested $425,009 through the Business Development Program (BDP) to enable the Newfoundland and Labrador Association of Community Business Development Corporations to deliver the Youth Ventures Program this year. 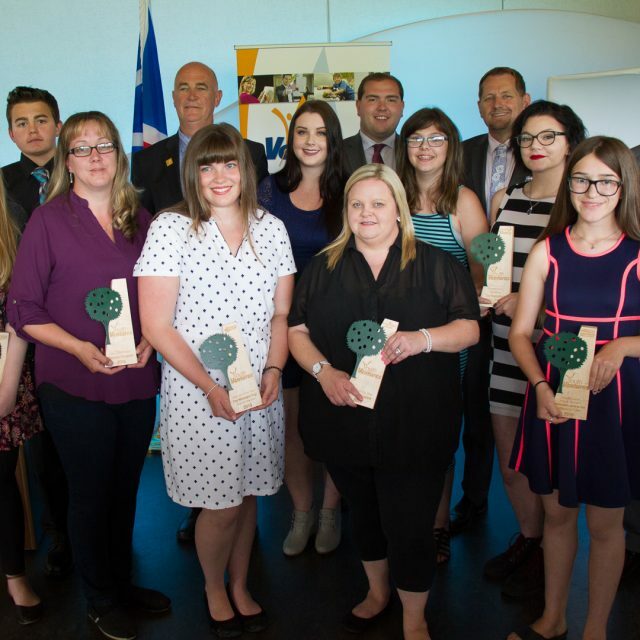 The Provincial Government is providing $95,000 this year to the Youth Ventures Program. This season, we’ve had the pleasure of working with DC Design House on our new campaign “Makin’ Lemonade with Youth Ventures”. It’s part of our t-shirts, commercials and social media but what does it mean? 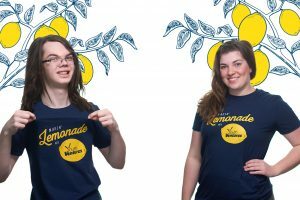 Makin’ Lemonade is a concept reminiscent of a traditional first business run by young people – a lemonade stand. Since we help young entrepreneurs start and run their first businesses, it’s a perfect allegory! To us, makin’ lemonade means working hard, getting out there and hustlin’. When life gives you lemons, make lemonade! If you have an idea you’re passionate about, get in touch with Youth Ventures and let us help you bring it to life. 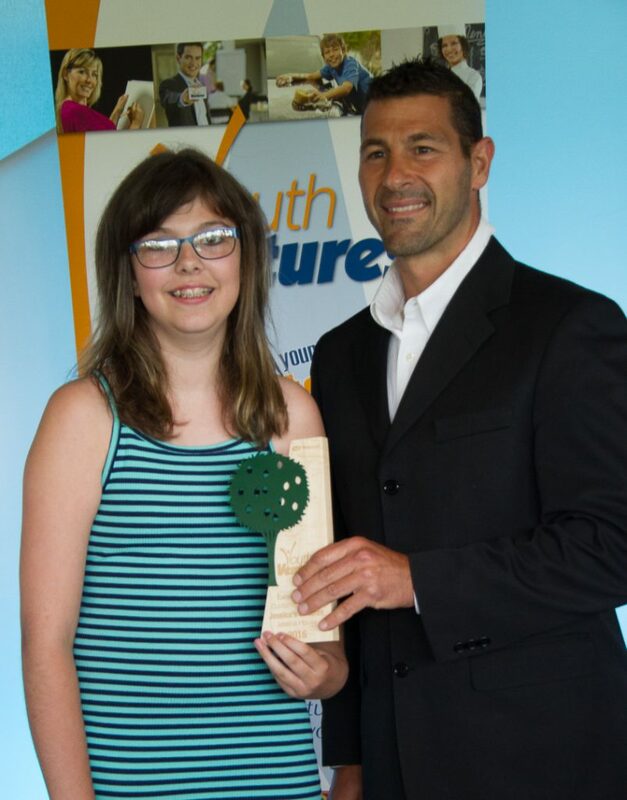 On August 18th, 2016, Youth Ventures celebrated the 19th Annual Youth Ventures Awards, presented by the CBDC. During this afternoon event, 7 young entrepreneurs were recognized for their excellence throughout the summer program. 2016 was an amazing year for many youth in our province and we’re ecstatic to be part of their entrepreneurial journey. To learn more about the amazing, young entrepreneurs thriving in this province, check out their businesses below! 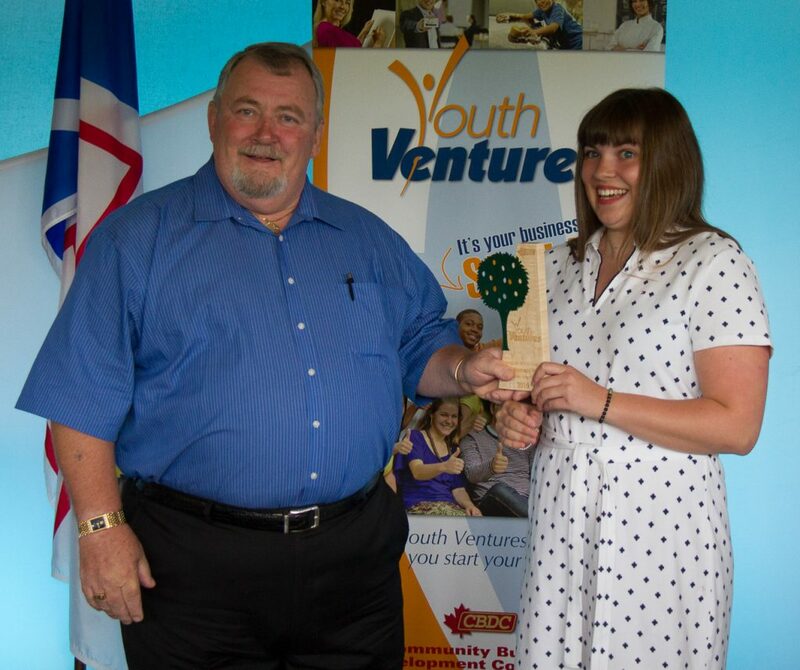 The winner of the Youth Ventures award for Venture of the Year, sponsored by NL Association of CBDCs, is Allanah MacNeil. Allanah MacNeil is a graduate student in Community Health at the Faculty of Medicine. From a young age Allanah has always been comfortable around children and decided to combine her passion for helping children grow and develop with her love of yoga. The Mermaid Yogi is a business owned and operated by Allanah that aims to motivate families to get active together in a non-competitive atmosphere from a very young age. Her classes allow people to explore self-expression and learn to control their emotions with relaxation techniques and poses to maintain a healthy lifestyle. Currently, Allanah offers classes in Witless Bay, Paradise, and St. John’s available for infants up to and including adults. 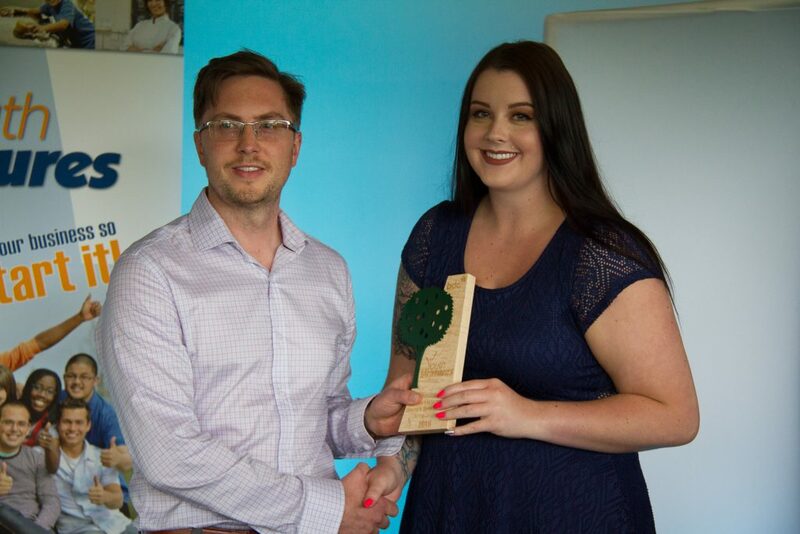 The winner of the Youth Ventures award for Excellence in Financial Management, sponsored by BDC – Business Development Bank of Canada, is Jenna Dimmer. This award is given to a business with outstanding financial record keeping and has run a cost effective business. Jenna is the owner and operator of Dimmer’s Dynamic Salon, an up and coming Hair Salon that is based on the Burin Peninsula. In 2015 Jenna heard about the Youth Ventures Program and decided to pursue her dream of operating her own hair salon. Jenna is the owner/operator of a salon in Marystown called ‘Dimmer’s Dynamic Salon’. Dimmer’s Dynamic offers a variety of services ranging from cuts (women, men, children), colours, highlights, foils, waxing, manicures, pedicures, gel nails, shellac (fingers and toes), as well as Solarium services. Jenna is very passionate about what she does, and she aims to go above and beyond to satisfy her clients. Her book keeping abilities since opening her business have been impeccable, which in turn makes for outstanding financial management. 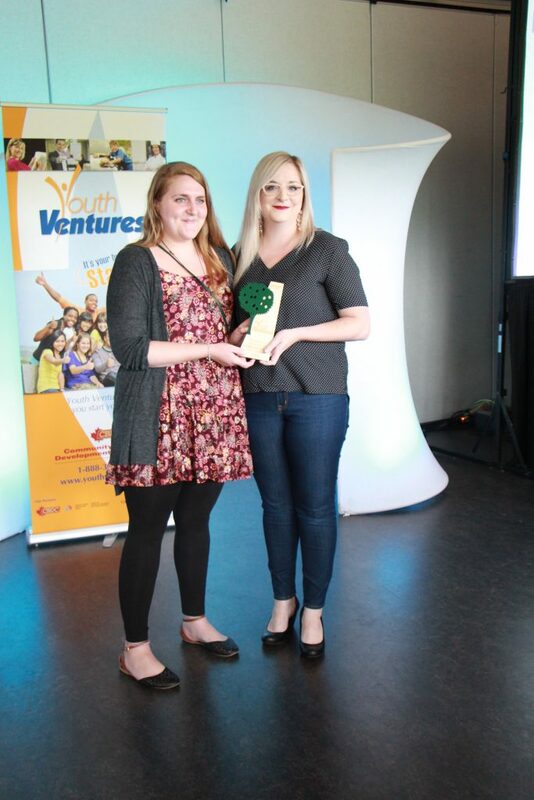 The winner of the Youth Ventures award for Excellence in Marketing, sponsored by Event 3Sixty, is Kelsey Brennan. Kelsey Brennan is a 20-year-old young woman currently living in Marystown. Kelsey is the owner/ operator of ‘The Pupcakery’, which specializes in all-natural, gluten-free, vet approved dog treats. Kelsey has had several clients since starting her business, and the demand is continuously growing. With her distinct logo and in-depth knowledge of her target market, Kelsey’s business has been active on social media and at local events throughout the community. 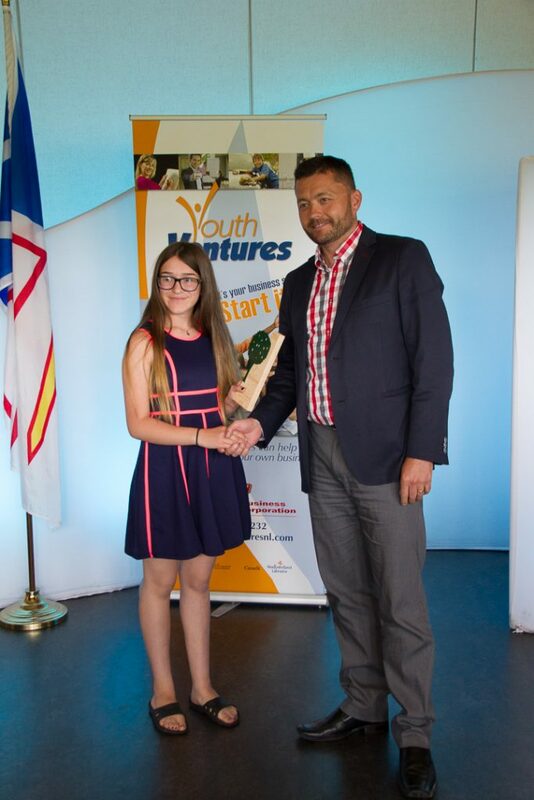 The winner of the Youth Ventures award for Outstanding Venture (17 years and under), sponsored by Newfoundland Power Inc., is Hunter Skinner. This award goes to a business owned by a youth, 17 years and under, who has experienced significant achievement during the current year and stands out amongst the crowd. 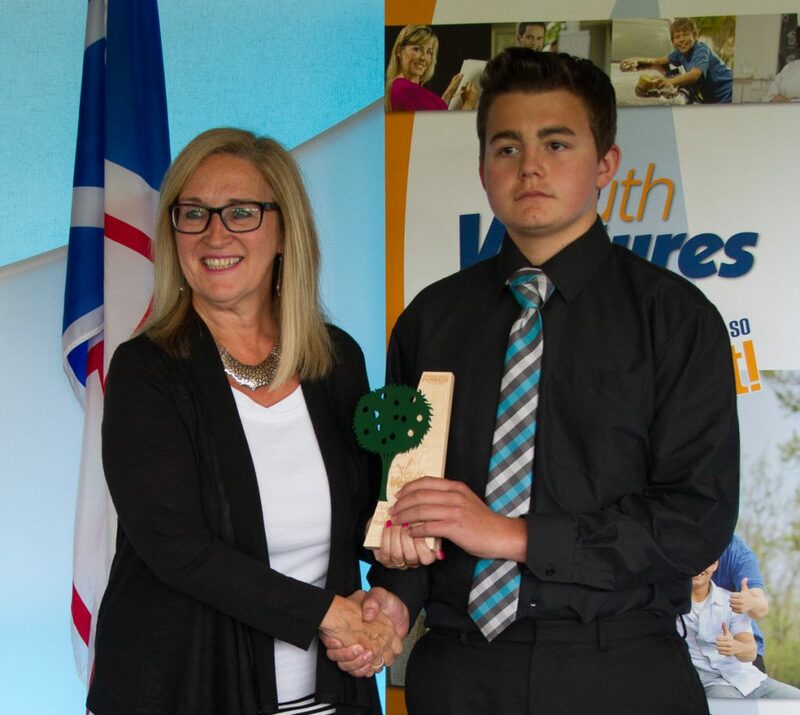 Hunter Skinner is a 15 year old entrepreneur from St. Albans, and the owner of “Hunter’s Woodworking”. At the age of 6 years old, Hunter picked up a hammer, and started helping his father who was building their house. Since then he has undertaken various woodworking projects. Last year, he designed and created his very first wishing well and flower planter, after his mom expressed interest in having one of their own in their front yard. Fast forward to June 2016 – Hunter has perfected his product, and with the help of Youth Ventures started his own woodworking business. Each wishing well is 5.5 feet tall and created with a consistently high level of skill, and uncompromising quality. Hunter’s Wishing Wells are sturdy, water-sealed and stained (upon request). The winner of the Youth Ventures award for Excellence in Product Design, sponsored by I Design Ltd., is Justine Anderson. This award will be given to a business that shows unique talent in the craft or artistic ability of their product. The ability to create a unique product which is difficult to copy will be regarded highly for this award. Justine Anderson a creative young woman living in Port aux Basques, Newfoundland. In 2014 Justine started her dreamcatcher company, Wildflower Co., where she handmade and sold her dreamcatchers while going to school. In 2016 Justine joined up with Youth Ventures and opened her own kiosk in the popular Scott’s Cove Park in Port aux Basques. She has expanded into making handmade, organic bath bombs, body butters, and scrubs while still staying true to her roots by continuing with her dreamcatchers. 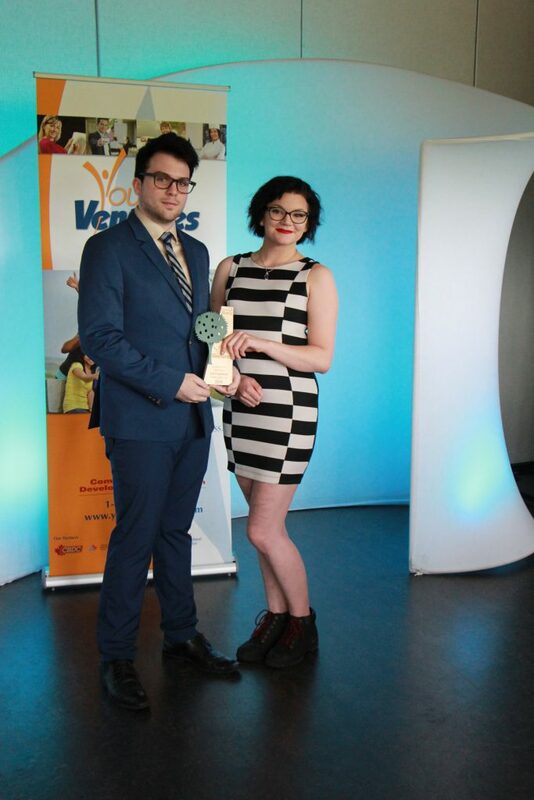 The winner of the Youth Ventures award for Excellence in Arts & Tourism, sponsored by Hospitality Newfoundland and Labrador, is Makenna Patey. Makenna is the owner of Makenna’s Jams & Pies based out of St. Anthony. Makenna started this business after her sister started her business back in 2012. One day her mom had a lot of jams made and there was a lot of bus tours around in the community to see icebergs, so Makenna put out a small table to see if she could sell a few bottles of jam. She soon discovered she had a profitable business when she sold out of jam in only one day. Now she sells to both tourists and locals, and has since expanded her business to include pies as well. All of Makenna’s products are all homemade, with pies being made using her Nan’s recipe and fresh berries picked in the Bight area or in Codroy Valley. Makenna has been promoting and selling her products at tourist attractions and event all across St. Anthony, with some of her customers being from as far away as Switzerland! The winner of the Youth Ventures award for Excellence in Customer Service, sponsored by Wedgwood Insurance Limited, is Jessica House. This award will go to the business that is outstanding in going over and above what is required in the area of customer service. This business usually promotes customer service as the cornerstone to its success. Jessica House lives in Daniel’s Harbour. She is 14 years old and will be going to grade 10 at Holy Cross All Grade School in the fall. Jessica has a passion for baking so she decided that she would start a baking business out of her home. 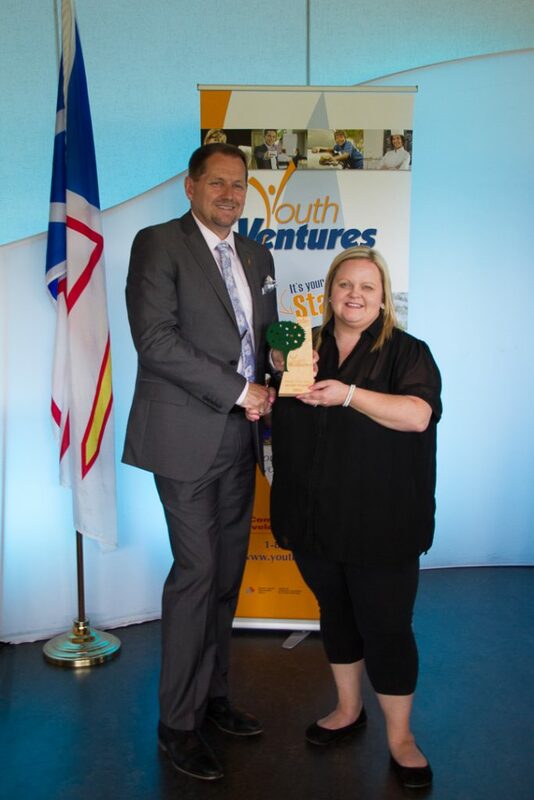 The winner of the Youth Ventures award for Mentor of the Year, sponsored by the Government of Newfoundland and Labrador, is Jennifer Bennett. This award is presented to a mentor in the program who has gone above and beyond to assist youth within the community by providing advice and guidance on how to start and run a business. Jennifer is the Executive Director of the Community Youth Network in Placentia as well as the Allied Youth Post Adviser. Jennifer has been an asset to Youth Ventures for a number of years and has helped bridged the gap between the Youth Venture Coordinator in Placentia and the kids in the area by encouraging them to be involved with the program. Jennifer has devoted her life to helping youth and connecting them to the community. 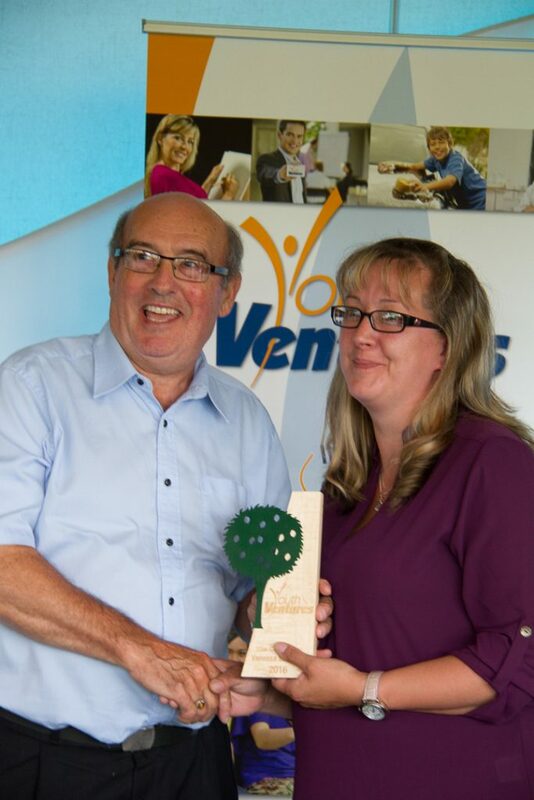 The winner of the Youth Ventures award for Star Coordinator is Vanessa Strugnell. During Vanessa’s time as coordinator for Southern Labrador with the Labrador Straits Community Youth Network, she has gone above and beyond for her participants. Vanessa is always eager to help her participants with whatever they may need and has been enthusiastic about her role in helping youth since day one. The Youth Ventures Program is made possible through the financial support of the Atlantic Canada Opportunities Agency, the Government of Newfoundland and Labrador, as well as the 22 delivery sites and the corporate sponsors mentioned above. 2016 has been an incredible year for the program and we’re excited about what the future holds. Thank you to everyone who has supported the program and if you’re interested in finding out more information, please email provincial@youthventuresnl.com. We are pleased to announce that the 2016 Youth Ventures program is now up and running. For 2016 there are 22 coordinators stationed all across Newfoundland and Labrador, ensuring every region is covered, and the tools are there for you to get your business ideas off the ground this summer. 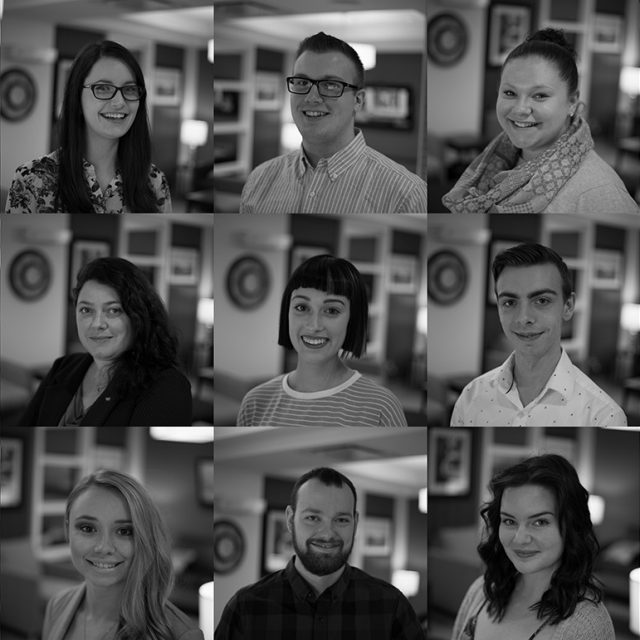 All of your coordinators have diverse backgrounds and a knowledge base to connect you to the business resources and opportunities available to youth in Newfoundland and Labrador. So whether you’re looking for someone to sit with and hash out your ideas, a connection to help you get to know the region, help with how to make your first sale, or advice on how to expand your future empire, your coordinator is there for you. 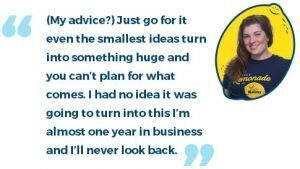 If you’ve been thinking about starting your own business or playing around with ideas in your head, there’s no better time to start than now. Whether you’re 12 years old, or finishing up your university education, there’s huge opportunity in communities all across the province to explore your business ideas and start going after your dreams. If you already have your business started and just need a little bit of extra help to move forward, your coordinators can help with that too. Youth Ventures is a free program for students aged 12-29 in Newfoundland and Labrador. We don’t take any ownership of your business, there are no fees to join the program, and your coordinators are only here to help you achieve your goals. Many students get involved in the program to get help with marketing materials, access to events, assistance in accessing financing, business plan help, or sometimes just to chat with someone about their ideas. Other times, students are looking to get more connected to the community, whether that’s help with finding a mentor or meeting other entrepreneurs and business owners like themselves. But how can my coordinator help me? With over 6000 participants after going through the program, the type of help everyone needs is always a little different. Luckily, your coordinator has a lot of flexibility to help you with your specific needs for your business start up. In some cases, your coordinator may not have the answer you need, but rest assured they can help you find what you’re looking for. If you want to learn more about how your coordinator can help you, submit your contact information here, and the coordinator for your area will follow up with you shortly!